Have you spotted the new arrivals in amongst our current Must Haves collection? 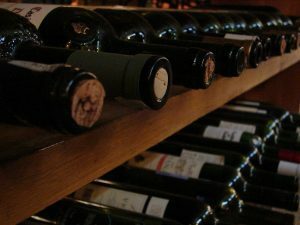 The passionate team here at iDealwine can’t help but share their absolute favourites of the moment, so we’ve come up with a selection of reasonably-priced bottles available on our fixed-price sale. Read on to decipher the unmissable wines of the season! Here at iDealwine, we have a reputation to uphold! We’re therefore proud to present our latest findings to you, which we’ve recently added to our list of wines we deem essential to have in your cellar. 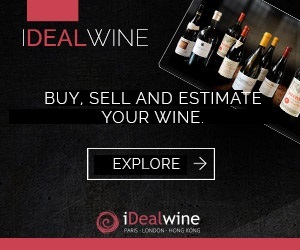 Hence the name iDealwine’s Must Haves: the perfect wines to introduce you to the world of fine wine. We’re sure that you’ll love their unique personality! Let’s begin with Bordeaux, where fans of Merlot – with its plum and cedar notes – will turn to Saint-Emilion’s Grand Crus, incarnated by the châteaux Grand Corbin Despagne and Quinault L’Enclos. Recent vintages (2014 and 2016) will amply reward cellaring for some time, and don’t hesitate to do the same with La Closerie des Moussis, a 2016 vintage from the Haut-Médoc. 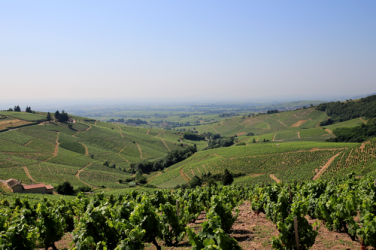 In Burgundy, we suggest you (re)discover the Mâconnais, home to an altogether singular interpretation of Chardonnay. When raised in oak, this grape variety produces unctuous wines of superb minerality to accompany your summer meals. We would recommend tasting the Mâcon Clos du Four of Héritiers Comtes Lafon, a domain closely linked to Dominique Lafon, who has perfected the art of Chardonnay in the Meursault appellation. For the Pinot Noir devotees, Chorey-lès-Beaune is well worth exploring, especially Domaine Maillard et Fils. For many of you, summer is synonymous with the South, where, of course, we have everything you could possibly need. In Provence, don’t miss out on Château de Pibarnon’s superb rosé. Drink it young to savour its full-body, intense fruit aromas and lovely minerality. A truly great gastronomic wine. However, if you don’t drink it this summer, keep it in your cellar: its bouquet will evolve with aromas of tea and dry rose petals. Moving on, but staying in the South, you’ll find Le Pied de Samson, a simple white vin de pays from the Rhône valley, which will nevertheless allow you to get an idea – and taste – of the excellent Condrieu produced by Domaine Georges Vernay. In the South-West, try Haitza, and relish the wonderful salinity of Domaine Arretxea’s red Irouléguy. This domain has organic certification but follows biodynamic principles in the vineyard. A bottle of Champagne never goes amiss, does it? Head over to this region, where the Royal Réserve non dosé (with no send-off dose added) of Philipponat await you, as well as Roederer with their Cristal in the 2008 vintage. That is, if there’s any left; the 2008 vintage is widely-considered as one of the greatest successes of this champagne house. In the past, this cuvée was produced only on special request from the Russian emperor and nowadays is regularly spotted reaching the heights of our auction lists.